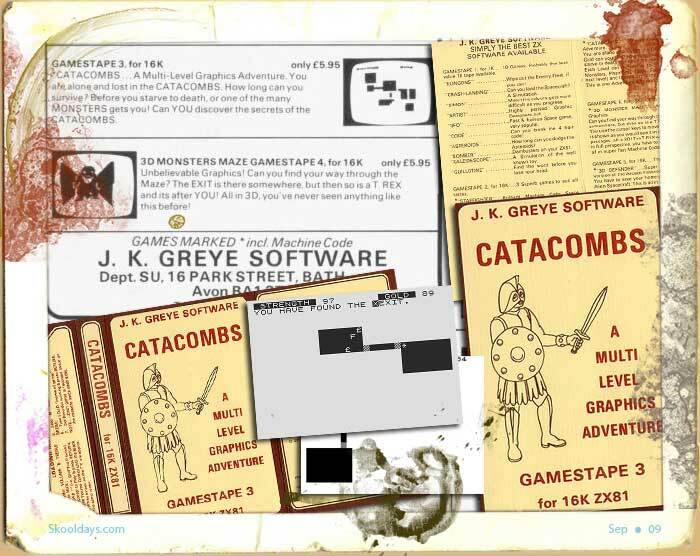 In 1981 one game that had all atmosphere in a world of zero graphics was Catacombs by J.K. Greye. John K. Greye and Malcolm Evans set up a British software company after they met at a classical guitar club in Bristol in 1981. They produced computer games for the Sinclair ZX81 and ZX Spectrum home computers. What was so memorable about Catacombs? Well it was the fact there were several levels to play, each deeper and more difficult to discover. Also the monsters themselves were no more than the letter “O” or “G” moving around but they were not ordinary “O’s” or “G’s”….they were Orcs and Goblins! In the spring of 1982, Greye and Evans split up and Evans founded his own company, New Generation Software, which continued to produce games for the ZX Spectrum.